– Has high adherence power. This entry was posted in Facade Plaster & Color on 26 September 2016 by A.
Acrylic copolymer emulsion-based, silicone, matte-looking, exterior top-coat paint. – Holds on to the application surface well thanks to its superior adherence power. – Spreads easily over the surface. thus providing savings in both time and labor. Baumit GranoporTop K 1,5 mm is ready to use pasty organically bound thin-layer cover coat as floating and set with scraped or corrugated structure, white or pigmented, for outside and inside applications, can be processed manually and by machine. Properties: Hydrophobic, weather – resistant, water vapour permeable, washable, outstanding colouring properties, high mechanical stress and load resistance, easy to work with. Application: Protection and design of facades and internal wall surfaces on mineral plasters and stoppers, on concrete, for rework on organically bound stoppers and plasters, as final coat of the Baumit heat insulation composite system EPS, as well as on renovation plasters. Advantages: Décor render finish for exterior use. Diffusible and very resistant to water. Washable thin-layer render with synthetic resin bonding agent. 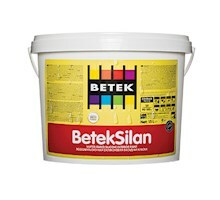 With its excellent resistance properties. This entry was posted in External Wall Insulation System, Facade Plaster & Color and tagged Product on 2 May 2015 by A.
Primer Ready to use, organic based primer for hand application. A system component fromthe Baumit External Wall Insulation System EPS-F.All-purpose primer to regulate suctionand improve adhesion for Baumit GranoporTop and MosaikTop. Bucket = 25 kg, 1 pal = 16 buckets = 400 kg. Application: Universal priming coat for interiors and exteriors to prepare background surfaces before applying Baumit NanoporTop, Baumit SilikatTop, Baumit SilikonTop, Baumit GranoporTop, Baumit StyleTop, Baumit EdelPutz, and Baumit MosaikTop. Advantages: Improves adhesion and equalizes background suction. 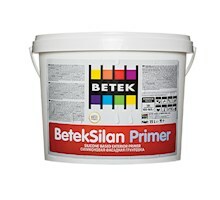 Helps to maintain colour uniformityof Baumit topcoats and improves the hydrophobic qualities of the background.